The Junior League movement was founded in 1901 by Mary Harriman, a 19 year-old New York City debutante with a social conscience. She formed the Junior League for the Promotion of Settlement Movements and mobilized a group of 80 other young women to work to improve child health, nutrition, and literacy. JLE-NS’s history begins 19 years later, with Dorothy Mason Croft forming an all woman’s group on February 5th, 1924. During the 1920’s the Junior Leagues responded to the Depression by opening nutrition centers and milk stations. JLE focused on Infant Welfare and operated a day nursery for working mothers. 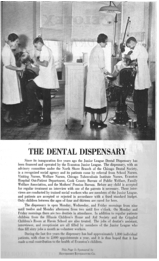 In the 30’s, the JLE administered and staffed the Masionette Tea Room for 22 months to raise funds to establish and equip the Dental Dispensary. We also provided a daily hot lunch program for fifty underfed Evanston school children. In 1940, Thrift House was organized. 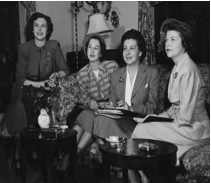 During the 40’s, members were most conscious of the purpose for which our league was formed; to foster interest in the social, economic, educational, cultural and civic conditions of their community while making a difference in the Evanston area. While the world was facing conflict, the JLE was determined to continue efficient volunteer service within the community to meet the growing demands caused by the war. In 1947, JLENS received the prestigious Peabody Award for the Radio Group, “Books Bring Adventure” program broadcast to 48,000 children. In 1960, we called Dawes House in Evanston our home. In cooperation with Evanston Historical Society and Northwestern University, we were responsible for renovating the Evanston Historical Museum. In the 1970’s The first event during our fiftieth year, was a community conference on “New Directions and New Dimensions of Volunteer Service”. In 1980, a community advisory board was selected and held its first meeting. Two projects were started: Lighthouse Landing Park Restoration and TIPS-Training in Interpersonal Skills. A bylaw revision raised the maximum age to 38. 920 Chicago Avenue in Evanston, was purchased for Thrift House. In 1982, we contracted a professional artist to design a new logo and brochure, raised the mandatory Sustainer age to 45 and made changes to the Admissions procedures. included: Child Protection, Displaced Homemakers, Landmark Preservation, & AIDS. In 1989, we published 5,000 copies of An Architectural Album: Chicago’s North Shore, which won a first place award at AJLI Annual Conference for marketing the book. In 1990, the League moved its headquarters to Winnetka. 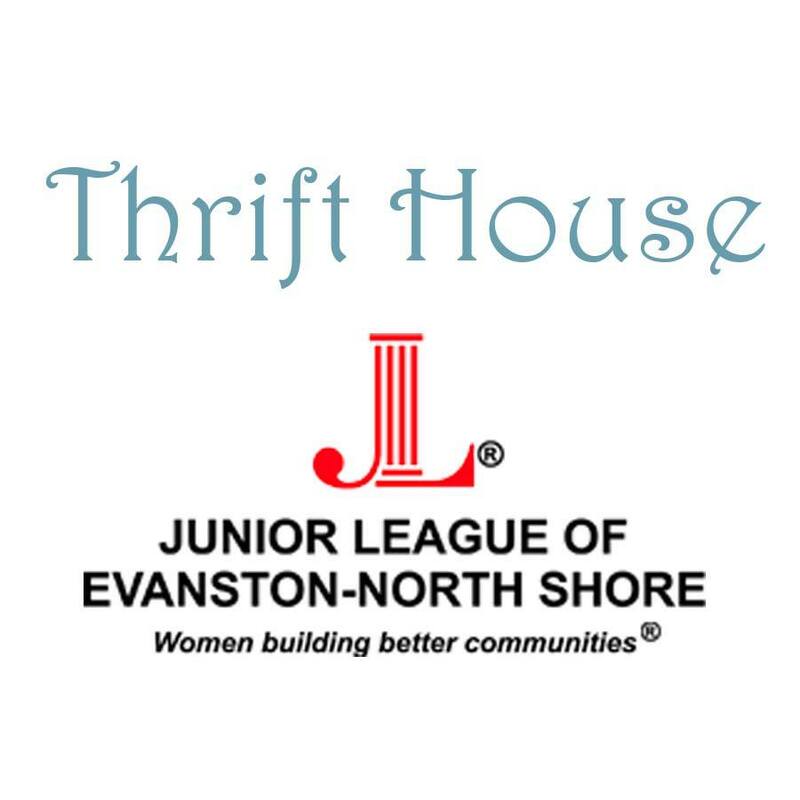 We accomplished a name change to Junior League of Evanston-North Shore. New collaborations included the Chicago Botanical Gardens, Teen Mentoring Program with LINKS, HIVCO and BE-HIV. In 1993, membership created a shared organizational vision- “Building Community One Child at a Time.” We initiated and developed a co-sponsorship with Pioneer Press, First Chicago Bank and the Juvenile Court of Cook County to conduct holiday party for abused and neglected children, over 700 children attended. In 1997 we received the Washington Times Foundation Award for our work in the area of Character Development of Youth. Also that year, we hosted former First Lady Barbara Bush at Northwestern University, in a 75th Anniversary Speaking Engagement on the Character Development of Youth. Over 1,000 community members attended. The new millennium, was full of excitement. 2001 brought Margaret Thatcher to the campus of Northwestern University, with an audience of over 1,000 members of the community. She spoke on “Challenges Facing the 21st Century and The War on Terrorism”. Also that year, we contracted with American Girl Fashion Show for a fall fashion show fundraiser. The JLE-NS Scholarship Program was established to honor our 80th Anniversary in 2004. In 2005, a newly designed website was gifted to our League by Past Presidents. Save the Abandoned Babies Campaign and Girls on the Run partnerships were a huge success. Projects started in the early 2000’s such as LINKS Community Education Series, Scholarships, American Girl, Community Counts and Kids in the Kitchen continue to make a difference in our community today. 2006, brought the creation and national printing of “It’s a Shore Thing”, JLE-NS’s own cookbook. Through the years many of our Members have taken on high level volunteer positions with the Association of Junior Leagues International and community boards. Our shared mission with over 290 Junior Leagues remains the same. As the Junior League of Evanston-North Shore, we strive to promote voluntarism, develop the potential of women and improve communities through the effective action and leadership of trained volunteers. The JLE-NS has traditionally identified a need, developed a program, and trained community leaders to continue the program as a community service. The following Past Projects were initiated by the JLE-NS. Many continue to serve the North Shore: Current Projects.